For anyone who didn’t finish high school, the GED exam can be the pathway to a much better life. It used to be offered as either a computer based test or a pencil and paper test, but now it’s only available in the computer version. There are four parts on the GED test: Reasoning Through Language Arts, Math, Science, and Social Studies. Questions are presented in several formats: short answer, multiple choice, hot spot, fill in the blank, drop down, drag and drop, and extended response. It’s important to spend time preparing for the exam, because it’s not easy to pass. 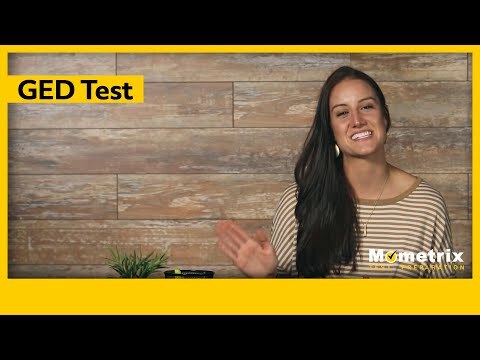 Mometrix Academy offers a lot of free GED practice test questions and videos you can use to get ready for the exam. The General Educational Development test, commonly known as the GED, is a standardized test distributed throughout the United States. The test’s purpose is to help people who didn’t graduate high school. Formulated under the belief that everyone deserves the chance to rebuild their lives, the GED test came about in 1942. The test arose after the Second World War, and was originally meant to help soldiers returning from the battlefield, many of whom were often uneducated and unskilled outside of combat. The test has gained traction since those days and is now available to individuals who didn’t complete their high school education. The GED test allows people to get the necessary credentials to advance in the working world or further their education. GED certification is accepted across the entire United States, and can be taken throughout the year. The test lasts about seven hours, but the benefits are worth it. Worry not over whether having a GED will affect your ability to move on to higher education. Colleges and universities across the United States all recognize GED certification. Furthermore, the GED test has been administered to 20 million individuals and growing, and maintains a high success rate. Some GED recipients have gone on to powerful careers, ranging from politics to teaching. The test boasts a lower ratio of jobless people, a college admission rate of 60 percent, and general acceptance by workplaces and higher education at a rate of 97 percent. Because of its roots in serving the American public, the administrative team that’s responsible for the GED test’s release caters to accessibility. Unfortunately, you cannot yet take the test in all 50 states; specifically, it isn’t available in West Virginia, Indiana, New York, Iowa, New Hampshire, Louisiana, Montana, Maine, Missouri, or Massachusetts. 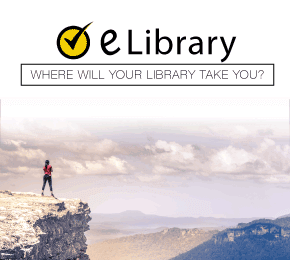 However, every resource you will need regarding the test—from the “when” and “where” to study guides—is made available online for your convenience. This means that you can access the materials you need at any time, no matter where you are. Most individuals are able to complete their certification within a three-month time frame. Furthermore, while taking the GED is not free, there are flexible payment options to keep the test affordable to those who need it. The actual cost for taking the test differs depending on your home state. 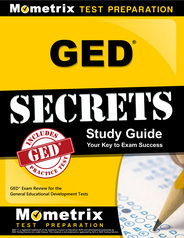 Mometrix GED Academy is a completely free practice GED test resource provided by Mometrix Test Preparation. If you find benefit from our free GED test efforts here, check out our premium quality GED study guide to take your studying to the next level. Just click the GED study guide link below. 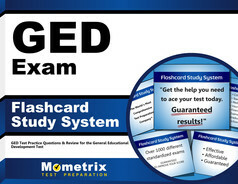 Your purchase also helps us make even more great, free GED prep content for test-takers. What Can I Expect With GED Testing? The GED test not only matches closely with the curriculum you would find in average high school courses but tries to prepare its takers for the real world academic exposure commonly found in university environments and beyond. Every question you encounter will have some relevance to either academics or the working world. Make sure you work through plenty of GED practice test questions to get ready for the exam. The GED test is comprised of four portions—social studies, mathematics, science, and language arts. You cannot earn your GED certification unless you pass every section. Test takers generally take each portion of the test separately, rather than all at once as with other standardized tests like the SAT. Across every section, you’ll find at least one type of question out of several varieties available: fill-in-the-blank, multiple choice, hot spot, drag-and-drop, and short answer. including a personal whiteboard for notes and scratchwork. Cell phones are not allowed in the room where you will be testing, nor are any of your other belongings besides basic test taking materials. There should be some vacant storage space; however, this is on a first come, first served basis. Test takers who are over 15 minutes late to the test taking site risk not being able to take the test and are not refunded the money they paid for the test. You should be aware of the date and location of your test, and try to arrive as early as possible. A half hour ahead of your testing time is recommended to allow for check-in procedures. The social studies portion of the GED measures not only your ability to comprehend basic social studies concepts, but consider them in the context of the real world. It has 50 questions total. Each is tailored to fit one of four topics: economics, civics, geography, and US history. 15 percent of the text centers on economics, 50 percent on civics, 15 percent on geography, and 20 percent on US history. All of these subjects are common across United States high schools. In addition to the various question types you’ll be expected to answer, you will also have to justify many of your answers using reading passages provided to you. The math portion of the GED follows two subjects: algebra and mathematical quantities. In addition, your ability to reason is important. Based on what modern colleges are looking for among entering students, you will not receive any questions beyond basic mathematical concepts. However, you will be expected to fully comprehend the basics. 55 percent of the test covers algebra, and 45 percent covers problem solving on a quantitative basis. When you take the test, you have the option to use both a TI-30XS scientific calculator and a digital calculator. However, you must bring the former on your own. The science part of the GED test seeks to measure your comprehension of scientific concepts. Each question you will find on this part of the test aligns with three scientific subjects: astronomy and Earth science, physics, and biology. These three subjects are not only the most taught in United States high schools but are considered to be the most suitable for adults in today’s world. 20 percent of the science test concentrates on Earth science, 40 percent on physics, and 40 percent on biological subjects. Approximately half of this part of the test comes with some sort of informational piece—be it a picture, a text passage, or something else—with three questions tied to them at maximum. You won’t need a deep understanding of science to complete this particular test. Rather, every question will give you just enough context to be able to solve a question with just a rudimentary understanding of scientific concepts. You will not find questions about more in-depth subjects, such as energy or anatomy. The language arts portion of the GED actually divides into two subsections: writing and reading. The aim of this portion of the test is to measure your contextual comprehension of the English language and English texts, and your writing and reading abilities. 25 percent of the test is prose and literature while 75 percent is nonfiction. American historical documents frequently appear on the nonfiction part of the language arts test. Each passage you read on the test ranges between 450 to 900 words in length. The writing portion of the test, much like the social studies section, relies on your ability to provide evidence for your answers from the texts provided to you. The formatting of the test factors into the expectations surrounding your answers. Scorers want to see how well you can write on a technological basis—or, more simply put, how well you can type out your thoughts—and how well you can employ evidence to justify your written answers. The rubric you’ll be graded with additionally follows three rules: how well you can express yourself in English, how you organize and flesh out your ideas, and how well you explicate the readings and justify your answers. The reading portion of the test is more “traditional,” and meant to measure your ability to comprehend what you read, as well as draw conclusions based upon evidence within the text. GED test takers are expected to be able to use the context of a sentence to determine vocabulary definitions, the main concept of a piece, and other elements. GED registrations take place online and are accessed through registration with the official GED website. The qualifications to take the GED test are determined by your state. During the process, you will be asked when you want to take your test and which subject you want to take, then pay the designated amount. You have the option to pay for each section separately if you choose, or the entire test at once. If the test happens to be unavailable in your home state, you can travel to a nearby state if it allows people who are not official residents to test there. The GED has recently updated the scoring method used on the test. In the past, there were two levels of passing the GED: Passing (attaining a score of 150-169); and Passing with Honors (attaining a score of 170-200). However, the GED has underwent a couple of changes to the passing levels. There are now three tiers of passing: Passing (attaining a score of 145-164); GED College Ready (attaining a score of 165-174), which evinces that the test-taker is ready to take college-level courses; as well as GED College Ready + Credit (attaining a score of 175-200), which not only certifies that the test-taker is ready to take college-level courses, but also gives them 10 credit hours to be used once they enter college. This change will affect all of those who have taken the GED since January 1, 2014. If the test-taker has received a score of 145-149 since that date, they will now be considered passing. Each test receives its scoring from an engine programmed to be as close to human-like scoring as possible. Scores commonly come back to the test taker within a 24 hour period of the testing date. You will also be emailed when you can look at your GED test online score. You can find them on the official GED website, under their MyGED section for registered test takers. If you did well on the test, congratulations! You are officially GED certified. You can contact the state government for a physical copy of your diploma and transcript, but will receive digital copies of both, provided that your state supports the GED test taking process. Physical diplomas are entirely free to you and provided at your request. You can email the diploma to a college or workplace if you so choose. If you didn’t do so well, you still have options. You can retake the test as many times as you need; however, there are some stipulations to this. The first couple of retakes do not have a limit as far as how soon you can sign up for them. However, for every retake after the first two, there is a buffer of at least 60 days before you are able attempt the test again. There is also a fee for each retake, which is is also contingent upon your home state. However, the first two retakes have a reduced cost; this is only available within a year of the first time you failed the test. You can only retest if you have failed a test. You can sign up for all retakes online or with a phone call to the official GED center. How Do I Get Ready for the exam? The GED test has an official GED practice test known as GED Ready, written by the very individuals who write the official test. It is approximately half as long as the real thing, and very useful. After you take the test, you will receive a report that informs you of the best ways to study based upon how well you did. You will also get a taste of the way the authentic test will be written, meaning you’ll have an idea of how to prepare. GED Ready can even be accessed online. However, this test comes at a price—specifically, $6 for each section. You will also finish the exam in four-and-a-half hours—literally half the time you will spend on the real exam. 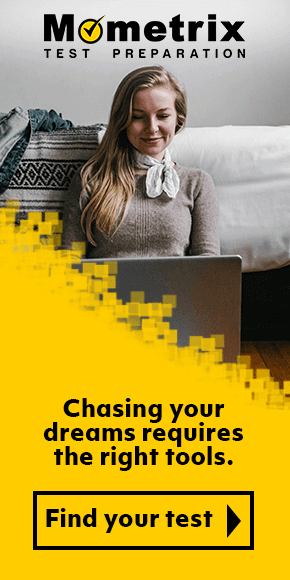 While there are definite advantages to taking the GED-sponsored practice exam, this is not the only available option for you. There are a large number of resources available to assist you with preparing for your GED test, many of which are right here on our website. Feel free to use our free study guides to help with your studies. Mometrix Academy is a completely free resource provided by Mometrix Test Preparation. If you find benefit from our efforts here, check out our premium quality GED study guide to take your studying to the next level. Just click the GED study guide link below. Your purchase also helps us make even more great, free content for test-takers.